The US Consumer Product Safety Commission (USCPSC) has recently issued a statement concerning HP’s recall of more than 78,000 laptop batteries. This is being issued in addition to the 50,000 laptop batteries the company recalled in January 2018 for the same issue. 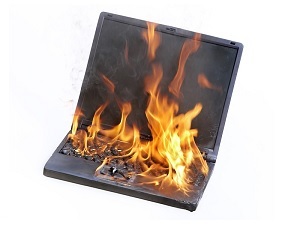 According to the company, the batteries in question are prone to overheating and pose fire and burn hazards. The USCPSC’s statement comes on the heels of eight new reports of overheating battery packs. Note that the actual recall announcement occurred back in January of this year. The reason it’s only now getting press is because of the recent government shutdown. If you personally own HP equipment, or if you’ve purchased some for company use, be sure to head to HP’s website for a full listing of the models that have been impacted by the recall. In terms of scope and scale, this is hardly the biggest equipment recall we’ve seen in recent times. Last year, Panasonic’s entire “Toughbook” product line had to be recalled, just to cite one example. This isn’t the first time HP has had hardware problems in the recent past and it certainly won’t be the last. However, from what we can tell, this incident isn’t the leading edge of some type of systemic issue for the company. It’s unfortunate, yes, but on its own we don’t see any reason to consider switching to some other hardware vendor. After all, just about every major PC manufacturer has suffered similar issues at some point. Even so, make sure the people in your employ who are using HP laptops are aware of the potential problem. Again, be sure to head to the company’s website to see if your equipment is at risk or not.